Preheat oven 375. Brown beef. Seasoning it. Mix all together, except fried onions. Bake in buttered pan, covered, for 30 minutes. Then 5-10minutes uncovered. Allow to cool 5-10minutes. Top, well, with fried onions. *Notes: If using fresh green beans: Cut off ends. Boil in salt water for few minutes. Drain, then use. 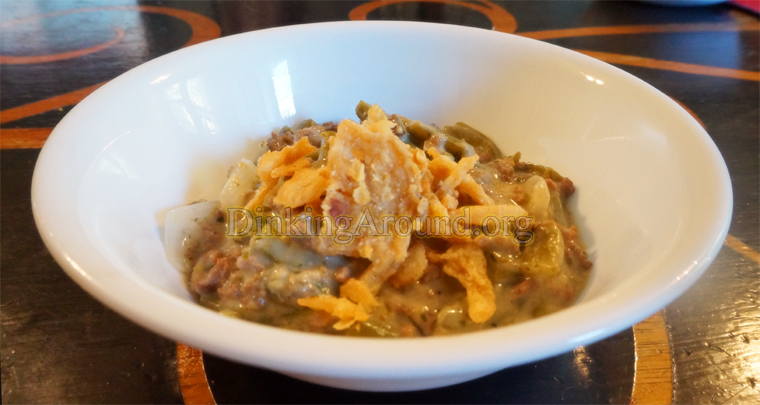 This entry was posted in Appetizers, Main Dish O' Food, Recipes and tagged bean, beef, casserole, game day recipe, green, turkey. Bookmark the permalink.